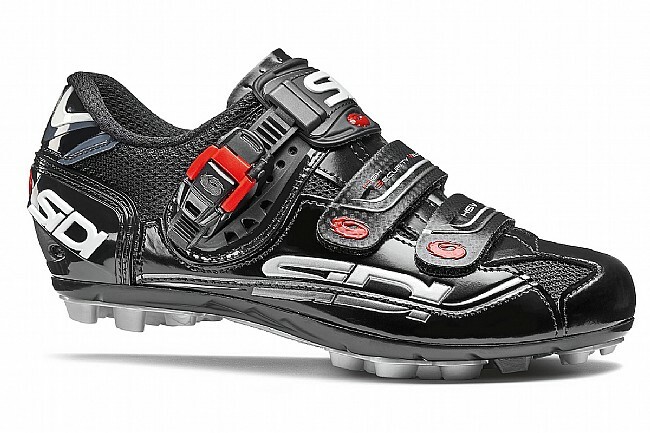 Sidi's Dominator shoe is an icon on the trail and cyclocross course thanks to its bombproof reliability, performance, and fit that continue on in Sidi's seventh-generation Women's Dominator MTB Shoe. On the bottom, Sidi's MTB Competition nylon sole is tuned to balance stiff performance with comfort, traction, mud-shedding, and durability, a design that has been proven on the dirt time and time again. The upper is done in synthetic Microtech that's highly abrasion-resistant yet supple enough to offer a comfortable fit for even the longest rides, and it's secured down with two Velcro straps, a ratcheting Soft Instep 2 top-foot strap, and Sidi's molded Heel Cup to keep your foot in the prime position for getting power into the pedals. 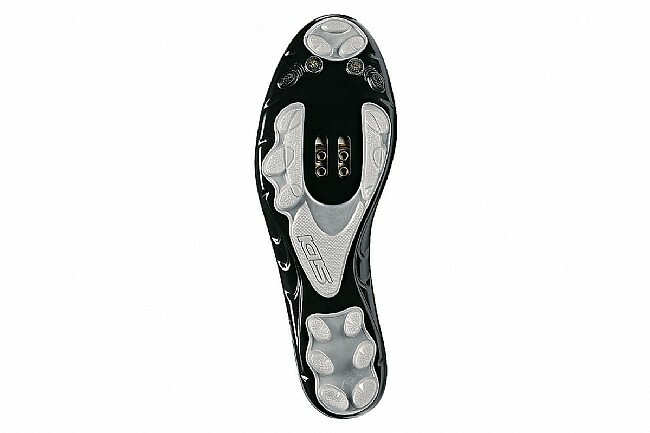 Compatible with standard two bolt mountain cleats* and optional toe spikes (sold separately). *Note: To validate Sidi's warranty and to prevent sole cracking, the Sidi Reinforcement Plate (or similar from Crankbrothers or Look) highly recommended for use with dual retention-bar style MTB pedals (Crankbrothers, Time and Look). The plate is not required for Shimano-style pedals. My experience with my Sidi road and Mt bike shoes has been nothing but positive. They fit my foot great and wear like iron.